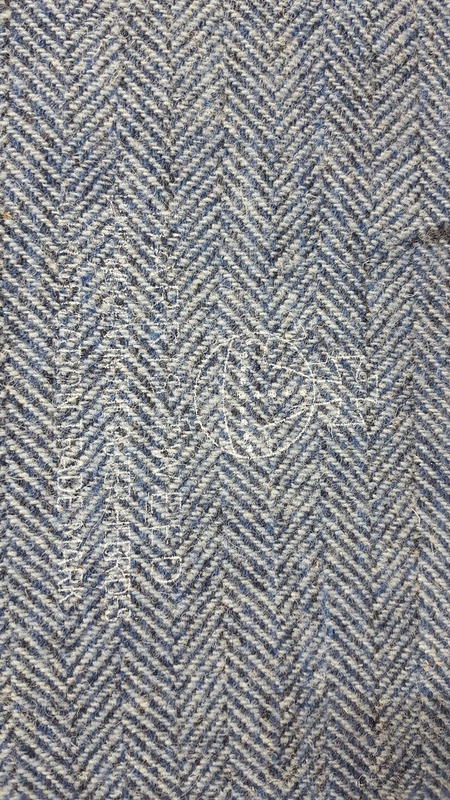 12 x12 herringbone with blue warp and light blue weft. 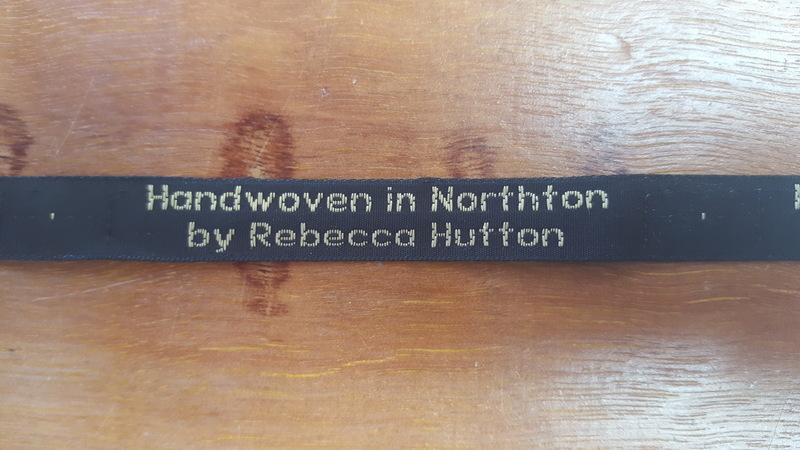 “Handwoven in Northton by Rebecca Hutton” labels. 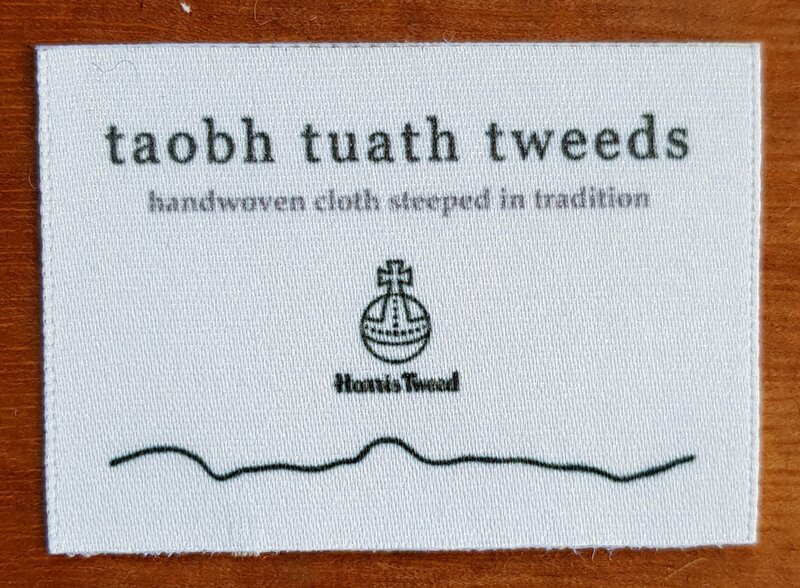 I'm Rebecca Hutton, a traditional Harris Tweed weaver from Northton, in the Isle of Harris. I weave on a Hattersley Loom MKII in my shed in the back garden, just as generations before me have done. Harris Tweed is available to buy here, and I am always pleased to chat about special commissions.